During the sixties, LSD was the most talked about drug on the planet. It was strongly associated with the hippy, flower power and peace movement. At the height of its popularity, a US university professor called Timothy Leary advised people to ‘turn on, tune in, and drop out’. It wasn’t long though before the dangers of LSD became very apparent. The drug was made illegal and Timothy Leary lost his job. 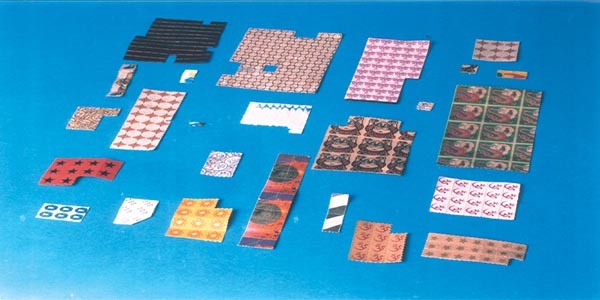 Despite its illegal status though, LSD continues to be prevalent and is one of the drugs that students are likely to come across when attending university or college. Interesting Fact: There have been no recorded withdrawal symptoms associated with LSD. LSD is a type of psychedelic drug, meaning that it interferes with normal thinking and brain functioning. The proper name for this drug is lysergic acid diethylamide and it was originally created in the hope that it could be used to treat mental health problems and even other addictions. There was a good deal of research carried out during the sixties on the drug, but the backlash against the hippy culture meant that LSD was made illegal and most research was suspended. The usual reason why students will want to use LSD is to experience ‘different states of consciousness’. Those taking this drug can experience intense audio and visual hallucinations, which can include everything from speaking to aliens to speaking with God and other vivid fantasies. Advocates of the drug claim that it opens their mind to different levels of existence and states of being. A common reason why students might take this drug is that they are just trying to escape their current reality, others try it because of the high-profile people known to have tried LSD, such as The Beatles and Steve Jobs. Interesting Fact: You cannot overdose on LSD, though higher doses increase the amount of physical danger you put yourself in. One of the biggest dangers with LSD is that users can have a bad trip. This means that they find themselves in the middle of nightmare from which they are unable to escape. There are many examples of people who ended up in psychiatric units following just one trip on LSD, and some of these individuals were never the same afterwards. Many have also unwittingly committed suicide while on the drug – either because they were having a bad trip or they were convinced they could fly. It is almost impossible to determine who is going to have a bad trip on LSD but people unprepared for the effects of the drug and those already anxious or paranoid are more likely to have a bad trip. LSD is not physically addictive but it can be habit-forming. Some people feel the need to take this drug on a regular basis. Despite not being addictive though, the fact that even one bad trip can make it too much of a risk – not to mention the illegality of this drug. Students serious about experiencing altered states of consciousness would do better experimenting with things like meditation. Make sure you’re in a safe place when experimenting with LSD as you will be most likely be very disorientated and could end up hurting yourself. Keep trusted friends/family around in case of an emergency. Do not take LSD when in a negative state of mind e.g. if you’re paranoid, depressed, scared or anxious as this is more likely to lead to a bad trip. Keep in mind that LSD can lead to life-long psychological abnormalities, even from just using it once. Those having a bad trip may be a danger to themselves; they will usually need to go to accident & emergency. Students who have fallen into a habit of taking this drug regularly may benefit from seeing an addiction therapist. Read more about children and students with addictions in our student addiction guide.